Part of on ongoing series honoring the struggles we go through surrounding faith and belief. 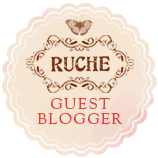 (If you'd like to write a guest post too, let me know!) Today's post is from my incredible friend Jamie whose thoughtful insights I've relied upon a lot in my own journey. Hi, I’m Jamie from the woefully neglected Simply Jamie. I am a librarian, mom to a nerd-in-training, wife, and an atheist/secular humanist. How would you describe your religious upbringing? We were “Casual Christians.” My mom was raised Catholic and my dad wasn't raised in church. We talked a lot about joining a church, but my dad was never keen on the idea. He was distrustful of organized religion. In high school I shopped different branches of Christianity (Baptist, Methodist, Church of Christ, Catholic). I stayed with the Baptist church the longest. They had a really active youth group and a really charismatic youth leader. What did you like about it? It was safe thinking that someone was looking out for me. It was nice to think that I would have an eternal life where I would see the people I loved for all eternity. It was also really comforting to think that I had a destiny, that there was a divine plan for me. What did you dislike about it? I remember never being satisfied with the answers given to me. I've always been a bit annoying with my endless questioning of everything. I wondered why God couldn't speak directly to people and I was told that when he tried, people couldn't handle it. That tripped me up. So God is perfect, but designed us imperfectly? There was always a lot of, “He works in mysterious ways.” It never satisfied me. That’s just the tip of the iceberg though. I always had questions about evolution and the way that women were treated throughout the bible. Also, why would God, with his omnipotence, create Eve knowing fully that she would eat that apple? Totally set her up for failure. Seems like a jerk move. What would you consider the low point/turning point in your faith/religious beliefs? Whew, this is a tough one to answer. I have tried quite a few times and never really found the words, so I’ll try and stumble through it again. I am going to need to delve a bit into a backstory. When I was 23, I found out I was pregnant with my first child. Everything was totally normal. I was puking and miserable and totally elated. During a routine ultrasound in my 13th week, problems were discovered. After quickly agreeing to a chorionic villus sampling (think early amniocentesis), it was discovered that our daughter had a devastating and often fatal genetic problem called Trisomy 13. So now I was forced with a decision that no parent should have to make, and I had a whopping 23 years of experience to make it with. To say that I agonized would not be dramatic. To continue with my pregnancy would be awful, to terminate my pregnancy would be the same. I was at a stalemate. In the end, I chose to just do nothing. I let nature/God do what it would do. From early August when I got that terrible news, to late January when my daughter was born, I prayed for one thing. One. I wanted my daughter to be alive when she was born. I just wanted to meet her, see her eyes, look into them and tell her how much she was loved. Tell her if she had to go that it was ok. But I just wanted to meet her. I’m sure you can guess where this is going. She died just minutes before she was born. I never held her while she was alive. People are the worst when you are grieving a lost child. I got “God needed another angel” a lot. Seriously, he had to take my kid for that? God in his infinite wisdom couldn't see how painful this was and spare me by creating an angel that didn't involve killing my child? The final turning point for me was when one of my well-meaning friends told me to read Job. I had read Job, but I cracked it open again searching for something. Instead of seeing a beautiful story of faith, I saw the story of a petty god. Seriously, have you read this? Satan’s all like, “Hey, bet you this guy will forsake you if he didn't have all that nice stuff.” God’s like, “No way, dude. He’s totally loyal. I bet you can mess with his head and he’ll still worship me.” Satan, “Yeah? I doubt it.” God, “Fine, do your worst!” I took some paraphrasing liberties there for brevity, but the story is the same. God let Satan completely destroy a man’s life to prove a point. Totally nice guy, right? That’s where I lost it. I had been doubting for a while, but this was just the tipping point. How could an all-knowing and loving God act like that? It seemed more and more that the bible was a bunch of man-made stories. How would you describe your religion/faith now? When I first stopped believing it was really scary. I was scared to have that much control, I was scared to tell my family, I spent a while just feeling scared. That slowly evolved into feeling free and the world just started making more sense. I felt more connected to those around me than ever before. I don’t have a religion anymore, but I have lots of faith. I have faith in humanity and the good in people regardless of their beliefs. I have faith in the intelligence of mankind and strongly believe that we will one day grow beyond our warmongering and hateful ways and really find peace. I read your story yesterday, but didn't comment because it's very difficult to talk through tough issues like this. It should be done in person. However, I couldn't get your story out of my mind today and it continued to break my heart which is why I'm back. I'll try to keep this short and invite you to ask me for the supporting evidence. If you don't want it, I understand. If you do, just ping me at @LesPorter on Twitter. - It's OK to question everything and that includes God. He understands and actually encourages it. - People are designed in God's image and we were given free will. We use it to do bad things but also good things. - Evolution is huge but I'll be brief. Micro evolution is true (i.e. bunnies growing white hair in snow regions) but macro evolution is false (i.e. bird evolves from a lizard). Evolution can be disproved with archaeology, statistics and biology. - The Bible is a historical document which means everything in it isn't advised. Several kings had concubines but that doesn't mean God approved. Many of these scriptures give examples of what not to do. - You did the right thing carrying your daughter to birth. - Your daughter is in Heaven right now. The Bible backs this up. She wasn't old enough to understand sin and her salvation therefore God made it possible for her to go straight to Heaven. She knows how much she is loved right now. - You can still meet your daughter. Unfortunately, I don't believe you are currently on the right path for that to happen. - Your daughter did not become an angel. Angels are created beings. Your daughter is the person she was created to be. - Two things to consider regarding Job. First, there are times when we can't see the whole picture and God does not adequately explain life to us. Second, there are times when we must trust that not all suffering occurs because we are bad, but because it can also be the source of some final good. - We live in a fallen world that we caused when our original parents brought sin into it using their free will. God covered for that by allowing His son to be tortured and sacrificed because He loved us. I couldn't do that to my 6 year old son for people that hate or ignore me. - The Bible is not a bunch of made-up stories. It is a reliable collection of historical documents written by eyewitnesses during the lifetime of other eyewitnesses. They reported supernatural events that fulfilled specific prophecies and claimed they were divine in origin. - People and humanity will let you down (see Boston marathon, Sandy Hook Elementary, tomorrow's news, etc). I hope some of this helps. I shared many of your thoughts and questions not too long ago and went looking for answers. If you have specific questions, let me know and I'll do my best to get you an answer. I'm sorry for your loss.